For official reasons these kids don’t exist, and according to records they weren’t even born. 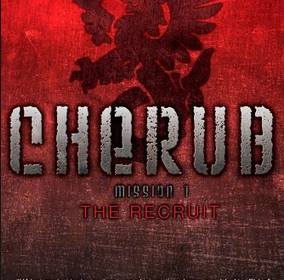 C.H.E.R.U.B., by Robert Muchamore, is an action packed story about a thirteen year old boy named James who was asked to join a special organization known as C.H.E.R.U.B. These kids are trained to go on top secret missions to spy and gather information on terrorists that pose a threat to society. They can use a few gadgets, but have no weapons to protect them and the main tool they use is their head. Almost everything they need on missions is pure knowledge and common sense. Although it is a job that is very risky, the C.H.E.R.U.B agents have one crucial advantage; adults would never expect that teenagers are spying on them. This book is an exciting, suspenseful nail biter that is just too hard to put down. It isn’t a very challenging read compared to most books, because of easy words and basic phrases. Over all it is a realistic book; James likes to play video games, eats too much candy, hates school and gets distracted when he meets a nice girl he met on his first mission. I would recommend this book to anyone who likes action and a bit of spying. Finally, if you like this book I would recommend the second book in the C.H.E.R.U.B. series, The Dealer.